Watching sports has become a favorite past time that I share with my my son. Of course when you watch sports, food is the perfect addition to the game!! It’s hard to believe that its already time for NCAA® March Madness. I love to use my slow cooker, for now, worry cooking on game day and BBQ chicken is the perfect food when there is a big game on! These are seriously the easiest thing to make in the world!! We bought a package of chicken legs to make this since its the kids favoritel. We put them into a gallon zipper plastic bag with soy sauce and a squirt of lemon juice. We let them chill in the fridge to soak for a bit and to add flavor to them. Michael used the tongs to carefully pull the legs out of the bag, he insisted if we dumped the soy sauce in it would make a huge mess. We used an original flavor of bbq sauce, I was worried honey would make it too sweet. My husband said he would love to try this with a spicy BBQ sauce. 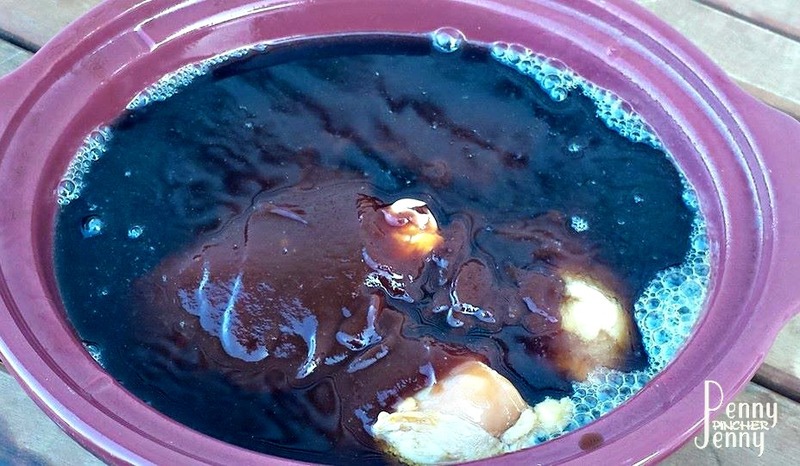 You can use any flavor or brand of BBQ sauce your family will enjoy. 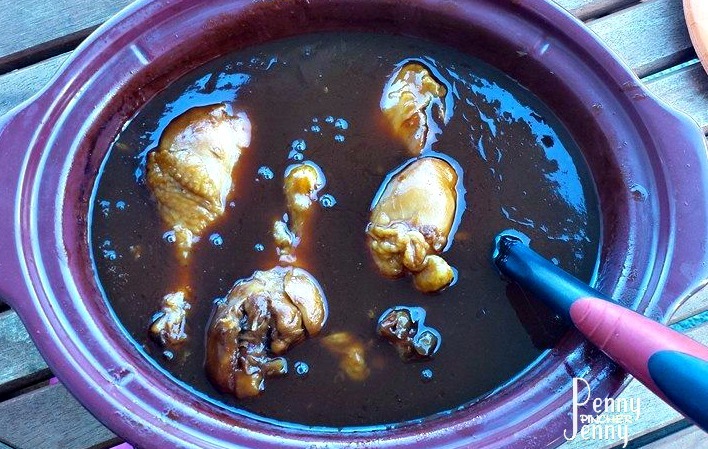 We sprayed our slow cooker with non stick spray and put the marinated chicken in the pot. 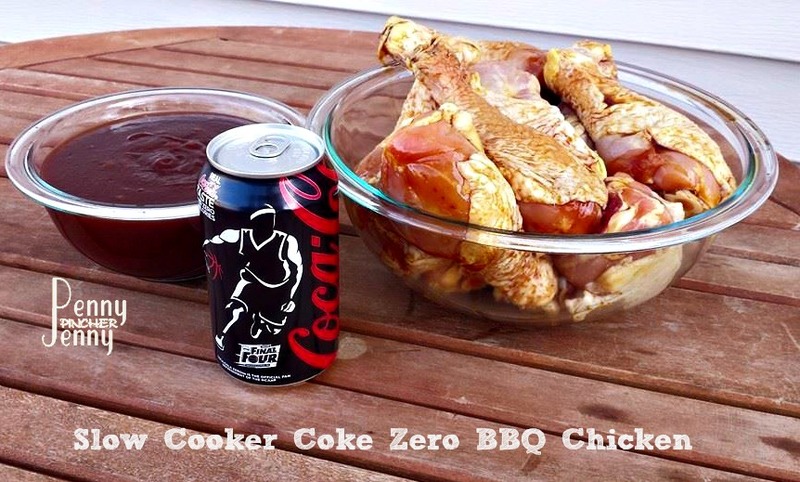 We then covered the legs with the sauce and the Coke Zero. 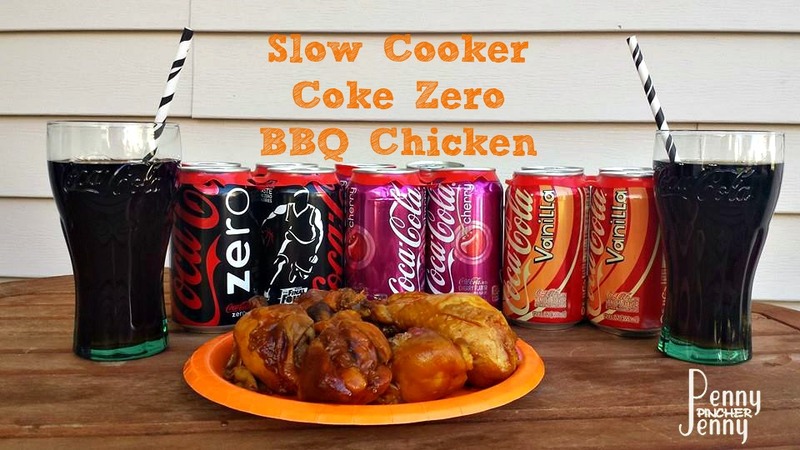 We had a fun conversation about how the Coke Zero and the bbq sauce had the reaction together. Michael mixed the sauce up before we turned on the slow cooker on low and let them cook. The result of Micheal’s secret ingredient in the BBQ chicken was AMAZING!! The chicken were so flavorful and juicy as well as super easy to make. There was no remembering to flip them and we only stirred them once about half way through at about the three hour mark. I was worried about the sauce burning and of course Michael wanted to see the chicken cooking progress. Are you following NCAA® March Madness?? What is your go to game day food? Oh, those BBQ wings look great – and easy to make too! Mmm hmm, paired perfectly with a Cherry Coke – that’s my kind of party! I don’t think I’ve ever had wings made in a slow cooker. I think I would miss the crispy breading/skin. I guess I could toss them in the broiler real quick to crisp them up. This is the perfect party food. Coke gives food a unique flavor, and it’s classic for game day. These look perfect for game day! I love Vanilla Coke and Cherry Coke while Hubs is a Coke Zero fan! My huband loves wings! Last time I made them I set off the smoke detector, so I think your recipe in the slow cooker looks ideal. I just updated the post. I used a small bottle of soy sauce in the bag with my wings. You could use more depending on how you like them to taste but I don’t like the strong soy taste. You mainly want enough to coat all the wings and for them to chill in while they soak in the fridge.